Kamaishi Mine is ranked as the second best haikyo (ruin) in all of east Japan, according to one of the haikyo books I follow. 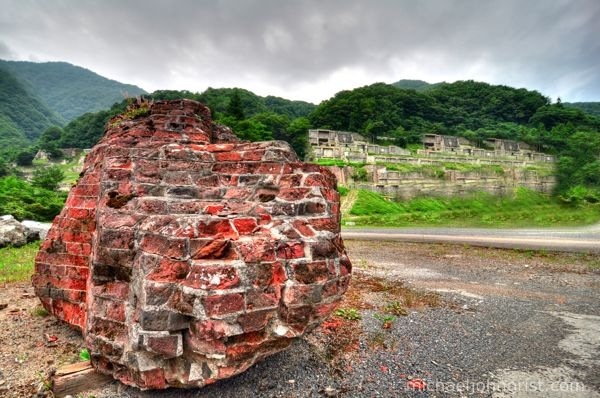 Iron has been mined there since 1727, and Japan’s first blast furnace was built there in 1857. Production peaked in the 1970’s, with more than a million tons of ore coming out a year. 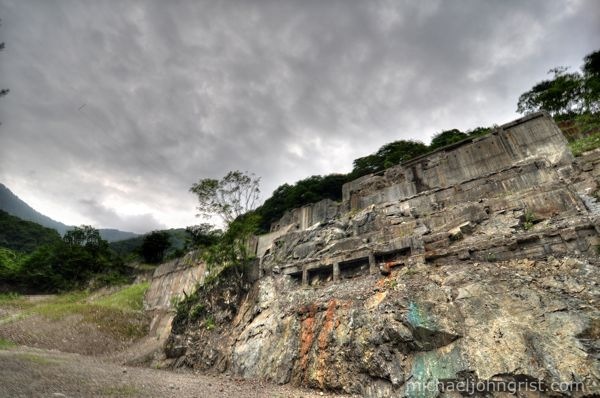 In photos I’d seen it looked like a whole hillside of factory/mine buildings, though upon arrival it was clear the glory days were gone, with only a hillside of concrete foundations remaining. There’s not a lot more to say about this, really. We were driving a circuit loop of Iwate pefecture, and this was the second half of the day after Taro mine. It was gone. We hopped the fence and meandered some. I was with Mike, and he had a run-in with some guy walking the stepped foundations. I saw nobody. 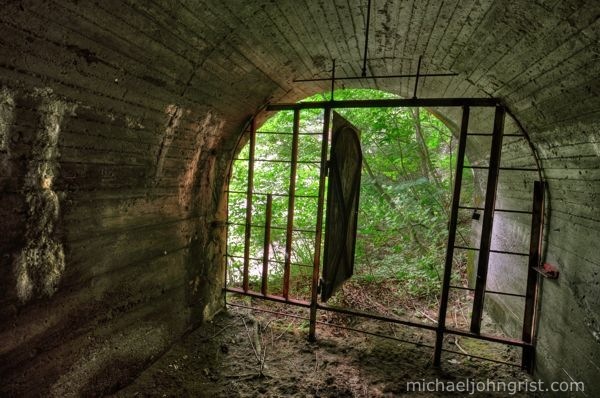 I entered a tunnel in the hillside briefly, but it didn’t go anywhere but the other side. Coming back down Mike shouted something at me from the car. “Sit down on the steps!” or something like that. I headed over. Turned out he was warning me about someone patrolling nearby. I didn’t see them. Because the place was a ruin of a ruin, all I’ve got are a few shots of that. This was the day before we went to Osarizawa Mine and the Matsuo Apartments. Poised as some kind of memento in the open parking area. 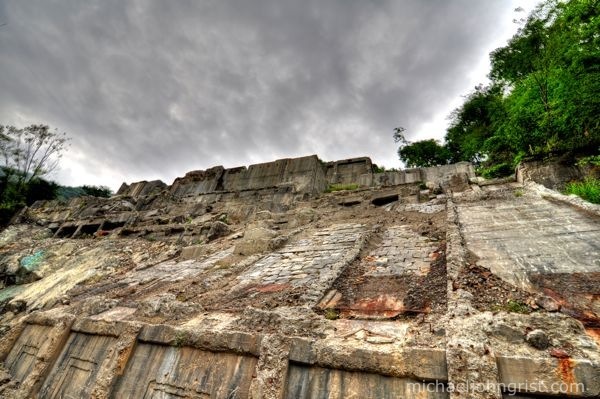 Another Incan temple, once a mine. 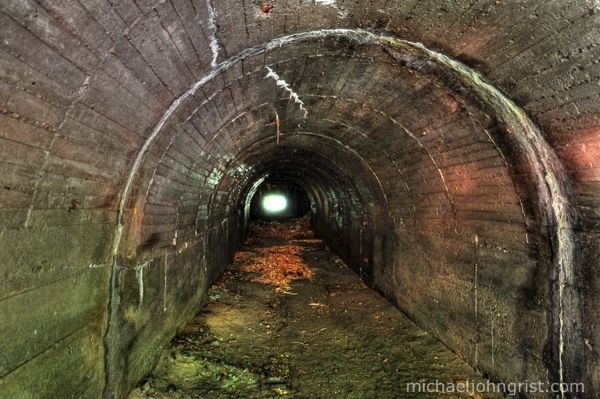 Inside a tunnel that shot straight through the hill. 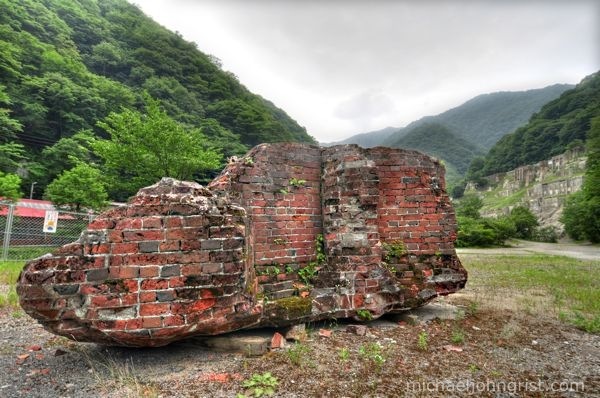 You can see all my haikyo explorations in the Ruins/Haikyo Gallery. Why would they have someone patrolling there? Did you get in trouble? Will- I could’ve taken more, I don’t think there actually was any security guard, perhaps just some guy out walking his dog. But had we stayed any longer, really there were no more things to see or shoot. Just the ruin up the wall, that’s it. Tornadoes- It was joined on to what might have been a school, which might have been live. As above though- I’m not sure there was anyone patrolling. If there was he did nothing to actively make us leave. Great photos. I have heard that cast coins were made at this site. Do you have any info on that? Can you help me pinpoint the old blast furnace location on a google map. I can’t read Japanese, so I’m helpless. I am locating historic coining sites around the world. See “WORLD MINTS” section on my website. thanks! Sorry but your photomatix picture is so bad. 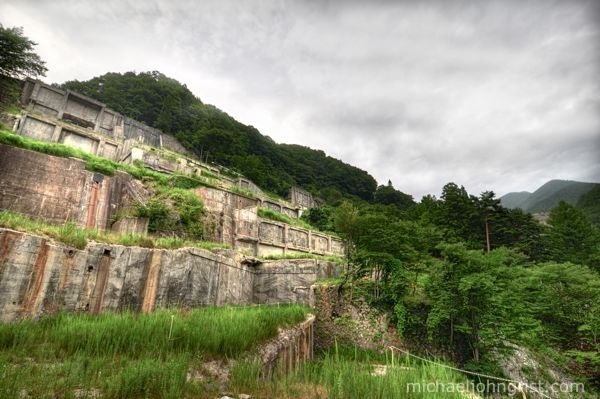 My father Richard Peck was a POW at the Ohasi iron ore mine near Kamaishi during WW2. He was captured while serving with the RAF in Java in 1942. Contemporary reports suggest that the prisoners at Ohasi, which was also known as Senai 2B camp, were relatively well treated, especially towards the end of the war when the camp was run by Lt Yoshida Zenkichi. So this is all that is left of the mine my dad worked in for 2 years. He was a Dutch-Indo POW from Java. Not sure what I expected to see, but thanks for sharing.